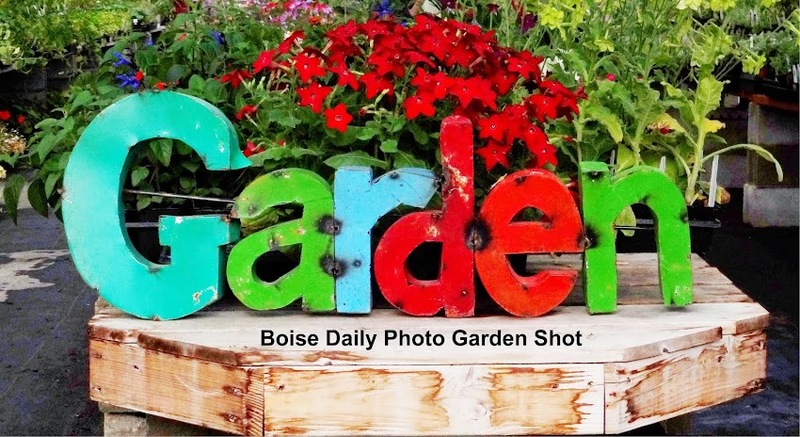 Boise Daily Photo Garden Shot: Let it Snow....let it snow....etc. 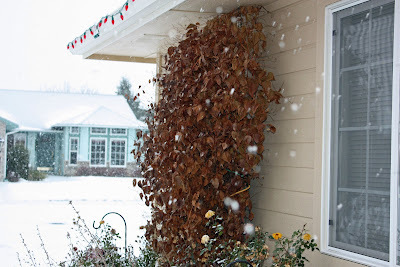 The reddish-brown vine is a clematis plant. Little birds find shelter in the leaves in the winter on days like this - with plenty of snow falling. Maybe another 7 inches tonight, and as the cold temperatures make us shiver, I'm really hoping the squash bugs are freezing to death...literally. I'll be browsing the seed catalogues. I'll germinate petunia seeds next month.